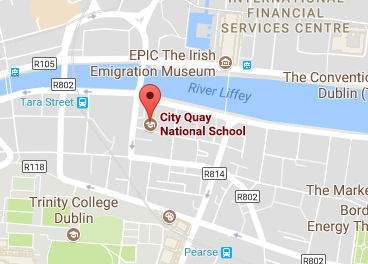 We are located on Gloucester Street South, Dublin 2. From North Quays: Cross over the Matt Talbot Bridge, proceed straight through the traffic lights on to Moss Street and take the first left on to Gloucester Street South. From Pearse Street: Turn right at the railway bridge on to Mark Street. At the T junction turn right on to Townsend Street and immediately left on to Prince’s Street South. Take the next left on to Gloucester Street South. Travelling by DART: At Tara Street Station turn right down George’s Quay. At the corner of George’s Quay and Moss Street turn right and take the first left on to Gloucester Street South.